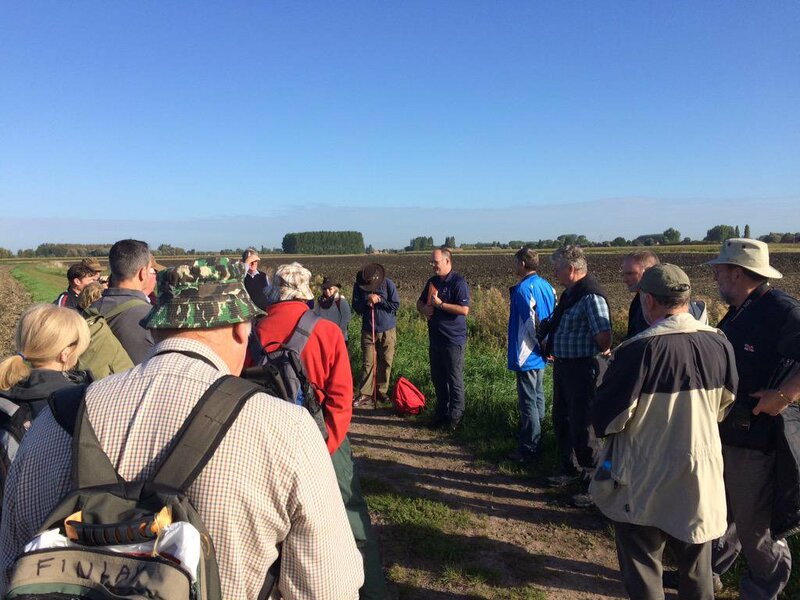 This year's Salient Strolls studies the Third Battle of Ypres and the the coastal operations of 1917/18, our walking tour is intended to enable the small group walking dynamics can find space for ourselves on the salient. 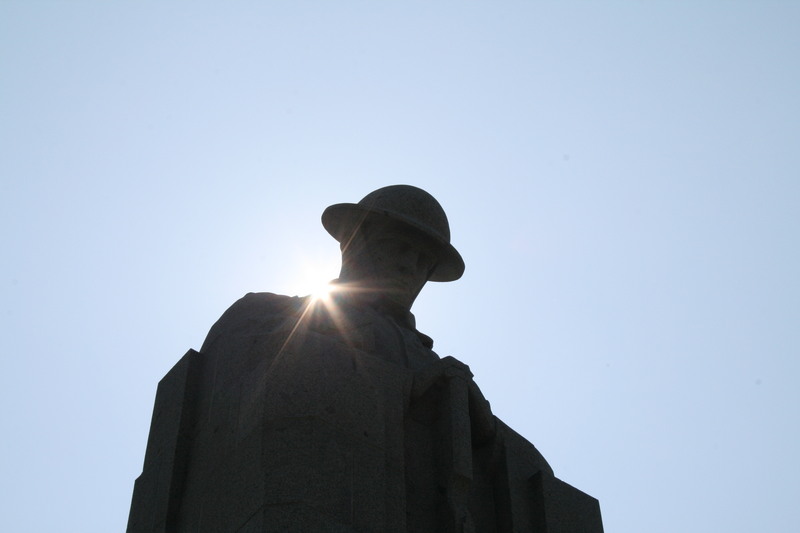 The tour contains a number of our signature walks exploring the Infamous 'Ypres Salient' and is led by Clive Harris. Scene of one of the mostly hotly contested areas on the Western Front, the salient marks the grave for almost 250,000 British soldiers and remains a focal point for British Remembrance. 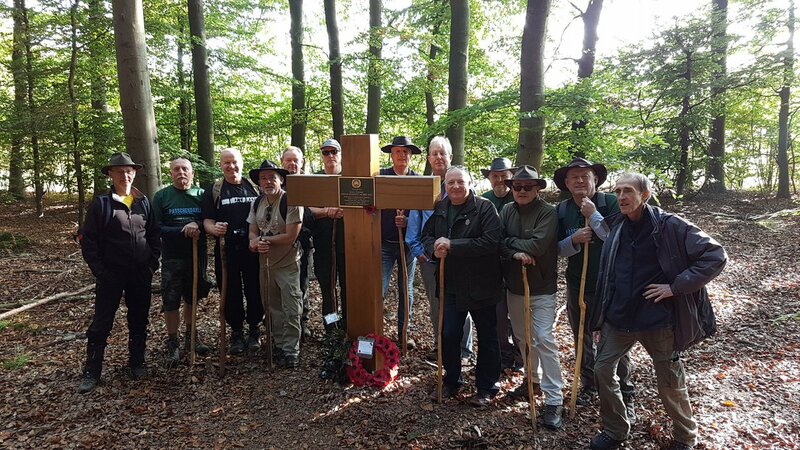 Via forgotten battlefield tracks and little-walked paths to uncover the true history behind the Salient of which Winston Churchill said "a more sacred place for the British race does not exist". Maple Copse to Lower Star Post - Starting at Maple Copse CWGC, we climb Observatory Ridge and continue onto Hill 62 crossing the ground assaulted by the Germans during the battle for Mount Sorrel a year earlier. After studying the Canadian defence and counter attack of this sector, we continue through to Shrewsbury Forest with its surviving network of bunkers and trenches, stopping at the Edgar Mobbs memorial before ending at Lower Star Post. Hellfire Corner to Hooge - Commencing our walk Hellfire Corner we walk to Perth China Wall Cemetery and then across to Burr Crossroads, crossing over the Menin Road, we continue to Railway Wood, charting the old 1917 startline before visiting Hooge Cemetery and ending at the Kings Royal Rifle Corps Memorial positioned on newly captured ground. Clapham Junction to Polygon Wood - Starting at the memorial to the 18th Eastern Division we walk past Cryer Farm, a German bunker that became an aid post for the 56th London Division on 1917. 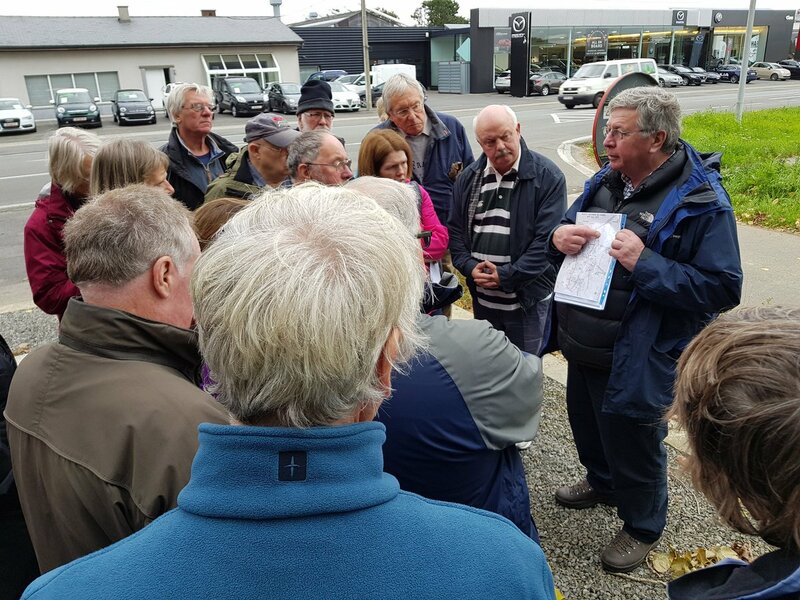 We continue around the wood Nonne Boschen and follow in the footsteps of Clement Robertson awarded a VC for the Tank Corps as they advanced towards Polygon Wood. We enter the wood at Black Watch Corner as the Australians did so successfully in September 1917 ending at the Buttes and with views onto the Passchendaele Ridge. Gravenstafel Ridge to Passchendaele - Starting at the New Zealand Memorial on the Gravenstafel Ridge at Kansas Crossroads, we walk to Dochy Farm before ascending the Passchendaele Ridge where we follow the railway line that traces the advance of October 1917 to Tyne Cot Cemetery, we then continue in the footsteps of the Canadian advance up in to Passchendaele ending the day in the village and the impressive 66 Division Memorial stain glass window in the church. Evening attendance at the Menin Gate and free time in Ypres will end our day. 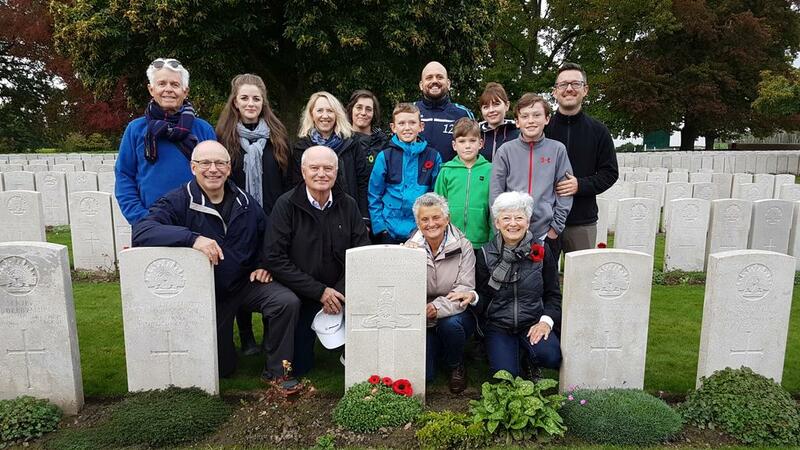 Our final morning in the salient provides an opportunity to enjoy the city of Ypres itself, with plenty of free time factored in and the chance to make personal cemetery visits. Leaving the city we head back to the coast for our return Calais - Dover Ferry. 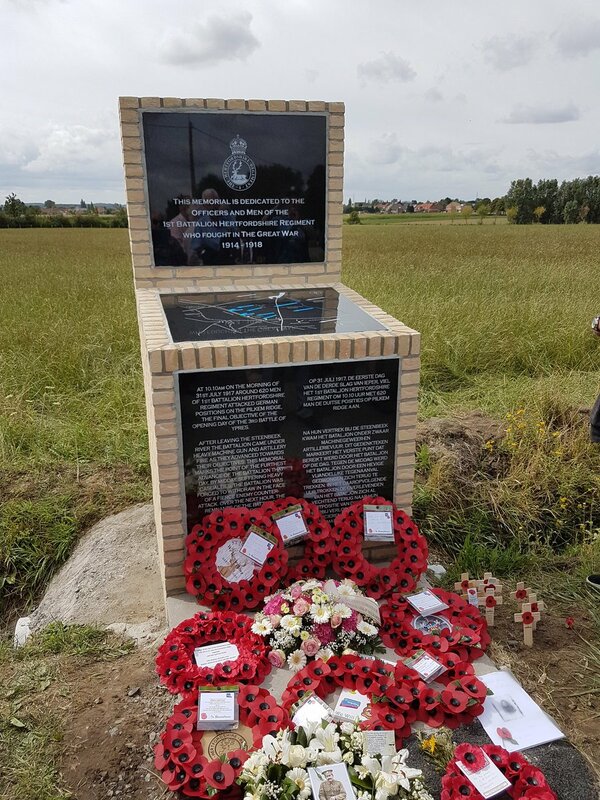 Thank you once again from all of us for your good advice, planning, organising and delivering such an informative tour and also embracing the personal aspects, laying of the wreaths, following Ian’s grandfather in the artillery and visiting the grave of his good buddy. 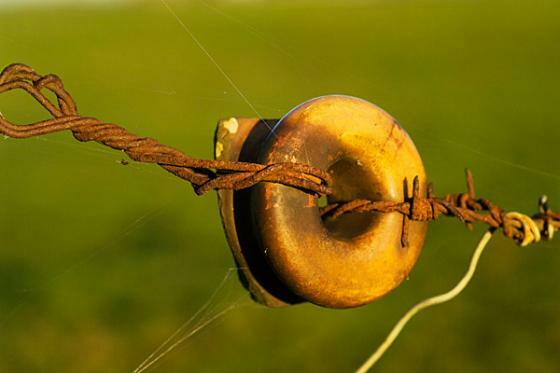 We will keep in touch and we do want to organise another Battlefield trip, when the word gets out, there will be many others wishing to join us!